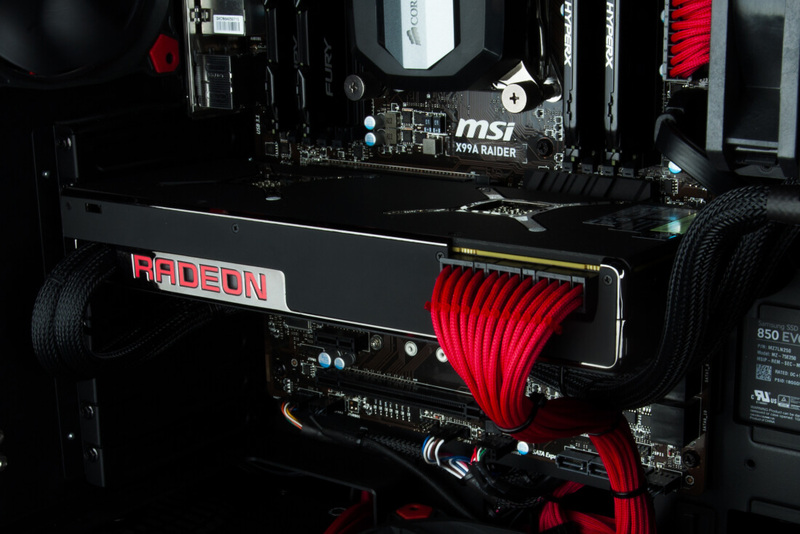 It's not clear exactly when AMD will be launching their next-generation Vega graphics cards, but the company is already looking to discount their previous products before they become superseded. The first card to hit the discount pile is the Radeon Pro Duo, a monster dual-GPU graphics card designed primarily for compute workloads. This card is essentially the equivalent of two Fiji-based Radeon R9 Fury Xs in CrossFire, with 4 GB of HBM per GPU. While CrossFire isn't supported in every game and doesn't always offer 100% scaling, more than 16 TFLOPs of performance is perfect for compute and workstation use. The Radeon Pro Duo is currently available for $799, down from its launch price of $1,500, which is a pretty significant discount. At its new price, the Radeon Pro Duo is roughly as expensive as two Fury Xs, although you get the added benefit of a single-card solution rather than two cards in CrossFire. It may be difficult to find a Pro Duo in stock at this new, discounted price point. The card is already out of stock on Newegg, although you may be able to find one through other retailers. There's a small chance the card will come back in stock, although considering Vega's impending launch, this steep discount is almost certainly designed to clear stock set to be replaced by newer parts.